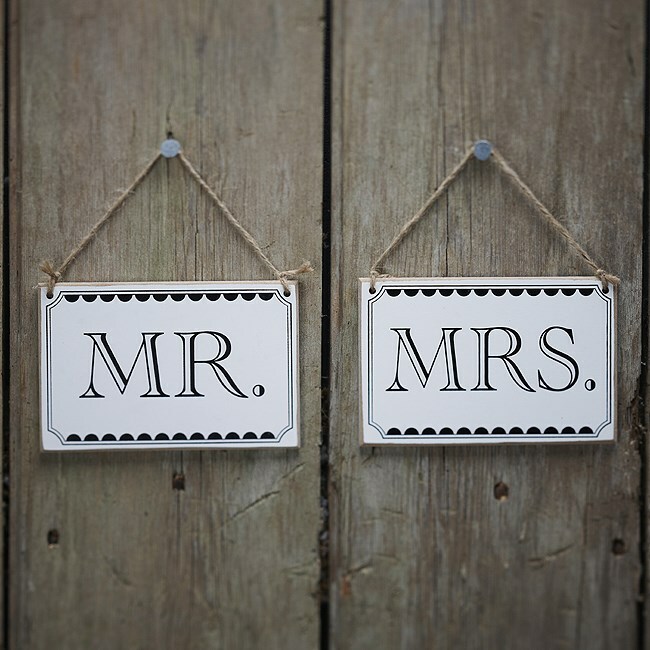 DescriptionOur Vintage wooden Mr & Mrs signs are great to hang on the back of the Bride and Grooms chairs. Each sign has brown string attatch ready for you to tie around the chairs. Each sign is approx 14cm x 9cm. 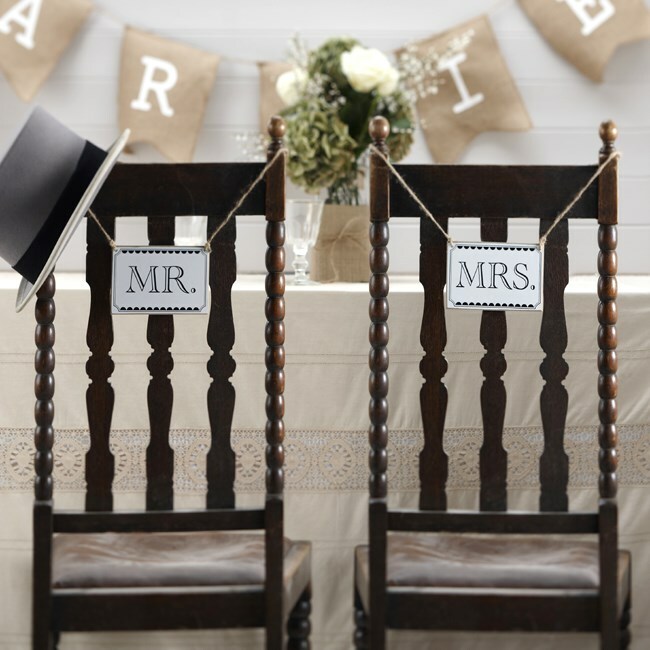 Our Vintage wooden Mr & Mrs signs are great to hang on the back of the Bride and Grooms chairs. Each sign has brown string attatch ready for you to tie around the chairs. Each sign is approx 14cm x 9cm.